It's the 4th of July weekend... I guess I'm slacking a bit here. But, with things to do, places to be, etc., etc., I didn't have time to write something new. So... I've taken some newly listed examples of cars I've posted in the past and posted a link to my original post. Enjoy! 1981 Mercedes 280CE - I wrote about a 1975 Mercedes 280C back in April, The "E" suffix on this car stands for "einspritzung", or fuel injection. This car also has an updated interior and a few subtle exterior differences. This car, located in Plymouth, MA, appears to be in very nice condition. The $3000.00 asking price seems reasonable. If maintained, the Mercedes Benz 2.8 engine will run forever. It's not uncommon for them to go well over 200,000 miles before needing any major work. This is a classic you could use everyday. Click here to see my original Mercedes 280C post. 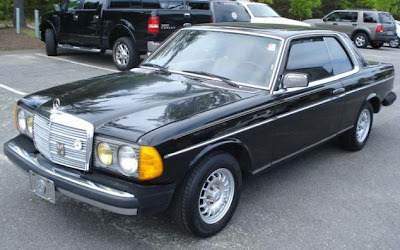 Click here to see the listing for this 1981 Mercedes Benz 280CE. 1970 Rover 3500 S - Also back in April I wrote about a Rover 3500 S. According to the seller, this one is a rust free example that needs just a paint job and some minor work to be spectacular. Find my original post here. Located in British Columbia, Canada, click here to see the listing for this Rover 3500S. 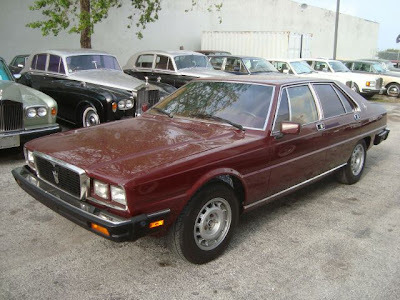 1985 Maserati Quattroporte - This is most certainly a classic that you would not want to use everyday. OK, maybe you'd want to use it everyday, but it probably wouldn't let you. Maserati Quattroportes are tempermental cars. Back in March I wrote about another Quattroporte. I mentioned having test driven one back in the 1980s. If, when I get old, I become senile, that test drive will be one of the few things I'll remember. It was that much fun. Click here to see my original Maserati Quattroporte post. Located in Florida,Click here to see the eBay listing for this Maserati Quattroporte. 1963 Fairthorpe Electron Minor Convertible - Back in November, 2008, I posted a Fairthorpe. The blog was new then and I had no idea what I was going to do with it (not that I do now). I didn't write much. I did post a link to a pretty good Fairthorpe website. There are very few Fairthorpes in the US. The only one I've ever seen was at the 2006 Lime Rock Vintage Fall Festival and, as I wrote, I was amazed at how tiny it was. This one is located in San Diego, CA. Click here to see the eBay listing.